Plaintiffs are seeking a permanent injunction, statutory damages, and reasonable attorney’s fees. 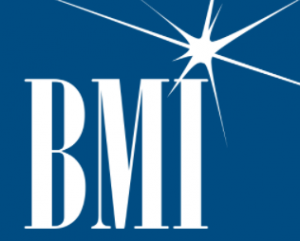 Plaintiff BMI is one of the world’s largest music publishing companies, and have rights to license over 13 million copyrighted musical compositions, according to the complaint. The other plaintiffs are the owners of the copyrighted songs that are the subject of the suit. Defendant Roses Pub is a corporation that runs Big Baby’s Bar & Grill in Anderson, Indiana. According to the complaint, the defendants perform live musical compositions, or cause them to be performed, at the restaurant. Plaintiff alleges that they have reached out to the Defendant over 70 times to inform Defendant of its obligations under the Copyright Act regarding the necessity of having a valid license to perform the copyrighted musical compositions. The Plaintiff has previously sued other Indiana establishments regarding similar facts and similar allegations, including this past November when the corporation sued Hoosier Daddy’s Bar & Grill in Newcastle, Indiana. Plaintiff alleges 13 different claims of willful copyright infringement based on Defendants’ public performances of the copyrighted songs. The case was assigned to District Judge Richard L. Young and Magistrate Judge Tim A. Baker in the Southern District and assigned Case 1:18-cv-00183-RLY-TAB.